Toronto is North America’s fastest growing technology market, according to CBRE’s fifth annual Scoring Tech Talent Report, which shows Canada’s largest metropolis moving up six spots to number six out of 50 cities. 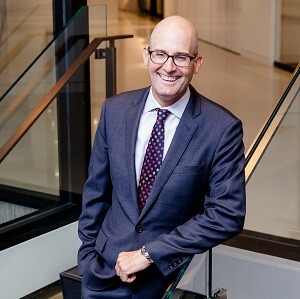 “We’ve had 30 per cent growth in the tech sector over the last five years and we added more jobs than San Francisco and New York City combined last year,” said Werner Dietl, CBRE Canada’s executive vice-president and Greater Toronto Area (GTA) regional managing director. Toronto added 22,500 tech jobs from 2015 to 2016 and ranked second only to Vancouver in terms of offering the best value when it comes to cost and quality of talent. “Currency is a factor, but it’s not the only factor that’s creating the competitiveness,” said Dietl. The low Canadian dollar makes the two cities more affordable to operate in for tech firms than such smaller American markets as Columbus, Ohio, Detroit, Mich., Madison, Wisc. or Omaha, Neb..
Toronto is North America’s fourth largest tech talent market, with more than 212,000 workers. Tech talent comprised eight per cent of all workers in 2016, up from 6.9 per cent in 2015. This tech growth has been a major contributor to downtown Toronto’s office vacancy rate dropping to a record low of 3.8 per cent during the second quarter of 2017. The demand for office space from the tech sector has doubled during the past five years. The GTA has an overall office vacancy rate of nine per cent, and downtown Toronto is definitely attracting most of the tech interest. Within that area, there are certain clusters that are particularly thriving, according to Dietl. “The MaRS Discovery District has seen tremendous growth and right now is close to capacity. King West as a neighbourhood has always had a strong tech sector and will continue to. * and EventMobi with 17,000 square feet at Queen’s Quay Terminal. Allied Properties REIT has been a leader in revitalizing older buildings and turning them into tech spaces that attract young and forward-looking workers. Domestic startups and larger international firms are combining to fuel the demand for tech office space, according to Dietl. Work being done at the University of Toronto and the Vector Institute has created a surge in interest in artificial intelligence. That field is expected to have a growing impact on Toronto office space. Vancouver, with the University of British Columbia acting as a startup pipeline, was the only other Canadian city included in the report. It ranked 16th among the 50 North American markets. * and Thunderbird Games with 35,000 square feet at 123 W. 7th St.
Dietl cited Kitchener-Waterloo, Montreal and Halifax as other Canadian cities where the tech sector is having a positive impact on local office markets.